Kidney stones are one of the most painful medical conditions that you can experience. The pain caused by these tiny stones can be excruciating and debilitating. People who are prone to kidney stones can use lemons and lemon juice as a natural kidney stone prevention method. Lemonade therapy basically aims to increase the consumption of lemon juice in your diet. You can simply make lemonade (preferably without adding too much sugar) or combine lemon juice with other natural ingredients. Lemons are a highly citric fruit; they contain citrate, a chemical which is a main inhibitor of calcium stone formation and can also break up small stones that might combine into bigger stones. It decreases the acidity of urine; this prevents the formation of calcium oxalate and uric acid stones. Lemon juice helps break up kidney stones and dissolves them so they can pass easily from the kidney to the bladder through urination. It contains a natural antiseptic that helps prevent bacteria growth in the kidney, therefore reducing the chance of infections occurring. It helps keep you hydrated and pass a lot of urine. We have created a list of quick and effective lemon juice remedies that can be prepared easily and will aid you in preventing kidney stones. Preventing kidney stones from forming is the best way to avoid a lot of pain in the future. Take a few fresh lemons and extract the juice (about 4 ounces are needed). Add this to 2 liters of water and stir it well (add a little sugar if desired). Drink this to get relief from kidney stones and associated symptoms of pain. Drink this twice a day (i.e. once in the morning and once in the evening). Or you can also simply drink lemonade, lemon juice or just water with a few slices of lemon in it. Or you can use lemon juice in your normal food, such as on fish, meat and other fried foods, salad dressing, etc. The zesty lemon flavor will make the food tastier and make your kidneys healthier. Take a glass of wheatgrass juice and add a teaspoon each of lemon juice and basil juice. Mix it well and drink this to help prevent kidney stones. Regularly drinking this combination (about 2–3 times daily) will give relief from kidney stones. Take 1/2–3/4 cup of lemon juice and add this to a 32-ounce bottle of water. Mix it well and sip on it throughout the day. Regular intake of this water helps to clear kidney stones quickly. In this process, lemonade helps increase the amount of urine passed, which in turn allows the kidney stones to be eliminated via the bladder. Take 1/2 cup of concentrated lemon juice and add this to 7 cups of water. Stir well and add a little bit of sugar or sugar substitute for taste. Drink this lemonade to get kidney stones clear from your body. Drink this lemonade regularly until the kidney stones are completely removed from your body. Take fresh lemons and squeeze the lemon juice to fill some ice cube trays. Freshen up your regular water by putting these flavored ice cubes. You can also put them in iced tea, soda, fruit juices, or in any other cold beverage. Take a tablespoon each of apple cider vinegar and lemon juice. Stir it well and consume this to find relief from the kidney stones. Repeat this as often as you like, and you should see the results within 24 hours. The combination of olive oil and lemon is very useful when it comes to treating kidney stones. Lemon helps break up kidney stones while the olive oil will coat the narrow tubes running from the kidney to bladder (the ureters), ensuring easy expulsion of the stones. Take 1/4 cup each of lemon juice and olive oil. Mix it well. Both of these have to be mixed thoroughly. Drink this mixture followed by drinking plenty of distilled water. Continue this process 2–3 times a day for 3 days or until you’ve cleared all the kidney stones. Take 2 ounces each of organic lemon juice and olive oil. Mix well and drink this. Be sure to follow with at least 12 oz. of purified water. Wait for about 30 minutes and then drink a mixture that contains the juice of half a lemon and a tablespoon of apple cider vinegar (which is full of highly beneficial digestive enzymes). Then repeat the lemon juice and apple cider vinegar water for every hour until you feel better from the symptoms. Make sure that start this method as soon as you find the symptoms to get complete relief from the kidney stones. Take 2 quarts of water in a pan and put it on a stove over medium heat. Bring it to boil. Once it reaches boiling point, remove it from the heat. Add 2 ounces each of fresh lemon juice and extra virgin olive oil to a pitcher. Mix it well and store this water in the refrigerator after getting completely cool. Take 2 tablespoons of olive oil every hour from afternoon until evening time. Keep sipping lemon water throughout the day to help flush out the kidney stones. The lemon will help reduce the bland taste of olive oil in the water. The next step is to lie down, turn to your right side and drink 1 ounce of olive oil. Wait 20 minutes and lie on your left side and drink another ounce of olive oil. Take a 20 minute rest; avoid consuming any food or beverages after drinking the olive oil. The kidney stones will most likely pass the next day, normally during the morning. Repeat the process regularly until you feel that all the kidney stones are removed. Follow these tips and warnings for safe and quick relief from kidney stones now and in future. Keep these things in mind when trying any of the home remedies. Always use the organic and fresh lemons and extra virgin organic olive oil to treat kidney stones problems. You can also try taking lemon extract pills, which are commonly available pharmacies. However, these are not as effective as raw, organic lemon. Also try taking lemon-containing food like candies, sodas and other beverages to treat the kidney stone problem. Regularly following all the above mentioned methods will get you relief from the kidney stones. The stones will be expelled from your body completely. Also try these methods or simply taking lemon juice occasionally to prevent the formation of kidney stones. We hope these methods are an effective treatment and help you get rid of the pain. Please share your experiences with us if you have tried any of these methods or any other home remedies for kidney stones such as parsley, and feel free to send us any kidney stone remedy that you have found effective. We welcome your feedback. Shrinking 16mm stone is not possible with home remedies, so it is better to go with what doctor suggests. To prevent further formation of kidney stones, you can drink lemon juice on an empty stomach. my husband had a large kidney stone too big to operate on I found the recipe of 1/2 lemon in a glass of warm water 20 mins before his breakfast. he had this for several weeks then had to go back to the specialist after a month and have another scan/x ray and it was all gone. The specialist said what have you been doing husband said drinking Lemon juice and warm water. he said don’t spread the news around as it will put me out of a job. he continues with this every so often to make sure he doesn’t get them again. he hasn’t which has been good. My doctor wants me to take Flomax, I am a 75 year old female, I have a kidney stone in my right uretus, I don’t like the side effects, says lowers blood pressure and causes dizziness, I am prone to faint easy so I do not want to take it! Has this been used much? I take it for other reasons, I am male. But, I don’t have any side effects from the drug. I have a kidney stone of 7 mm in right kidney upper pole calyx. There is no pain or any other syptom i came to know about it during routine medical checkup. As the stone is 7 mm it is better to consult the doctor and do as per his instruction. Home remedies can be helpful in removing kidney stones less than 3mm. To prevent the future occurrence, you can try the remedies we have mentioned in the article. I have 19 mm single stone in my right kidney (Pelvis area). From above methods, which is best for me to get rid from this. It is better to consult the doctor as 19mm stone can not be diluted with natural remedies. Natural remedies will work up to 5mm. To prevent future recurrence of kidney stones, you can follow any method mentioned above in the article. How many days do you have to drink the lemon water mixture before it takes affect? It is difficult to say the exact time as everyone is different. So drink lemon juice daily to see the affect quickly and prevent the problem in future. Is borges extra virgin olive oil ok for above remedies…..? Which method is best for 6mm calicum oxate stone in your right uterer? Try 2 and 6 methods mentioned in the above article. Apart from that drink plenty of water and avoid calcium rich foods in your daily diet. You can try any one of the above mentioned as per your convenience. All of them are effective in treating and preventing kidney stones. But make sure to try it regularly without interruption. Yes, you can try. Apart from that drink plenty of water and avoid calcium rich foods. Can i drink packet of lemon tea available in myanmar daily for 3.5mm stone in kidney ? Lemon juice doesn’t affect your kidneys. It helps to remove the toxins and shrink the stones present in the kidneys. As you have 13mm stone, it is better to consult a doctor for treatment. To prevent the reoccurrence of the stones, you follow any method mentioned above in the article. My sister suffering kidney stones from 3 years.Doctor told it is effect by heavy uric acid in your body.i.e., uric acid stones Lemon is sutiable or any other remedy is there.Please tell me the correct remedy to me. The citric acid present in lemons reduces the acidity of urine. The amount of citrate present in lemons prevents the formation of stones in kidney. Tell your sister to follow method 1 or 6 to shrink the stones and prevent the occurrence in future. Lemon drinks can pass out calculus of 4mm or less. For 6mm it would be a little difficult. It would be better to go with the doctor suggestion. For prevention of further calculus, you can drink lemon juice daily. With natural remedies, stones of maximum 3 – 4mm can be reduced. As your kidney stone is 4.5mm you can still lemon juice to reduce it. Try to follow it for weeks and get diagnosed to check if the stone has shrunk and passed out or not. If the stone still persists then go with what doctor suggests. You can drink lemon juice regularly even after removing the stone to prevent further formations. Drink it before having your meals. Choose any remedy as per your convenience and try it regularly. Apart from that you have to drink plenty of water and include fibre rich foods in your daily diet. With lemon juice it is possible to shrink and pass out stones up to a maximum of 3 – 4 mm. As per your description, it is better to go with what doctor suggests. Your friend can follow the remedies to prevent further kidney stone formations. I have two 3-4mm calculus in upper calyx , 4mm calculus in middle calyx , two 4-5mm calculus in lower calyx of right kidney. 4mm calculus in upper calyx , 8-9mm calculus in middle calyx & 23mm calculus in lower calyx of Lt kidney. As per your description, we recommend you to go with what doctor suggests. You can drink lemon juice daily to prevent further formations of stones. : 9mm stone is not possible to shrink by using just home remedies. It is better to go with what doctor suggests. With home remedies, you can shrink 4mm or less stones. To prevent formation of stones in future, you can follow any process mentioned in the article. I have a kidney stone 8mm….lemon is usefull to pass out it….and which olive oil is good with lemon to drink..? Through natural remedies, you can only pass out the up to maximum 3 – 4 mm of stone. As your kidney stone is 8mm we recommend to go with what doctor suggests. You can lemon juice with olive oil regularly to prevent formation of kidney stones in future. You have to use extra virgin olive oil for best results. Yes, it can be helpful. Wash 1 dozen eggs carefully, add 3 cups of lemon juice to the shelled eggs (without breaking).cover the container and place in refrigerator for 2 – 3 days. Carefully remove the eggs as the shell will dissolved and only a protective film will be present. Discard the eggs and what should remain is lemon and egg shell juice. Drink 1 tablespoons of the mixture 3 times a day for at least one week to notice the results. Or else you can just drink some lemon juice daily. Apart following the remedies, drink plenty of water and eat fibre rich foods. I am 51 years old man, I have been detected by two stones in both the kidneys (no pain is there) one is of 4mm and other is of 10mm. But after some treatment the stone of 10mm has now came down to the junction as per report of Ultrasound. what is better for me please advice. I am already a patient of HIGH BLOOD PRESSURE and taking medicine of this. As per your description we are unaware of the junction you are speaking. Home remedies can help you remove the 4mm stone but not the 10mm one. It is better to go with what doctor suggests. You can drink lemon juice regularly to avoid further formation of stones. hello iam 38years old male i have stone 0.8 cm in proximal ureter. which method i should use . . iam driniking bunndle of water daily…….. Try any method as per your preference and repeat it regularly. Avoid eating calcium rich foods. There is a lot of misinformation out there ., first I’ve had 7 separate stones.A table spoon of lemon juice in 8 ounces of water every day kept them at bay for literally years., Second small round stones stuck in the kidney area hurt the most .,anything that creates the perfect plug to halt the flow of urine causes way more pain.jagged shaped stones while bad , at least let some flow of urine by.If you are in good health & can vomit frequently without haveing further health complications .,”THIS WILL PUSH THEM OUT” & into the tube to the bladder, keeping out of the hospital.If you don’t expel them in the next 48 hours then you will need to go in .The procedure is simple(laser surgery) & not at all scary. 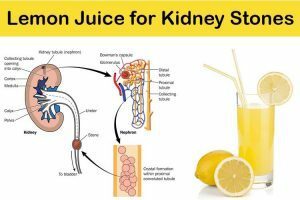 Can I mix lemon juice with coconut water for remedy of kidney stone? Yes It is equally effective as any other method…and its taste also well.. I am trying this method and found some tremendous changes in my body….within a weak…. I had a 18mm stone at age 28, had lithotripsy, but a 4mm stone remained. After years of x-rays the doctor said the stone had grown again, more treatment! Again a small piece remained and I still get some grief from time to time. I drink lots of water daily, but would now at my age (57!) any of these methods work to a) reduce the stone b) keep further stones at bay. I don’t have x-rays anymore, but at present am resigned to further treatment in the future. I would find it easier to add lemon juice to all the water I drink daily, but is there a limit to what I should use? Yes, you can use lemon juice to reduce the stones and prevent the further formation of stones. You can follow the remedies and limit as mentioned in the article. I drink lemon juice with honey daily. Is it good? Yes, it is. But make sure you don’t add more honey to lemon juice. What method should I follow will I be able to pass through water ? As the stones are stuck in the pipe and the size of the stones are more than 4mm, it is better to go with what doctor suggests. With home remedies we can dissolve kidney stones of maximum 4mm. ,my age 50 my left kidne 1 ston 9mm plz suggest me. 8mm 2pic 7mm 3pic or smoll 4pic dispass 1 month back. Home remedies are helpful in shrinking the kidney stones of 4mm or less. As your kidney stones are more than 4mm, it is better to go with what doctor says. In order to prevent formation of kidney stones in future, you can follow any process mentioned above. 8.7.6.4mm ston dispas my urine pipe. 9mm posabule? Dear sir, my age is 35year my right side kidney stone is 4mm very pain full frount right side doctor suggesed tablet acetaminophen&Tramadol hydrochloride tablet usung.plz sugges your my food or drinking best remove stone…….. Follow lemon and olive method daily. Apart from that drink plenty of water and avoid foods rich in calcium. Hi,i m 24 years old female ..just 4 to 5 days ago I came to know I m having kidney stone which is 5mm in right kidney and it’s very painful .. some times to get rid of it I have to take injection . Till now I’m not taking any medicine n doctor suggested just drink lots of water so please sugges me home remedies and help me how to remove stone it’s really painful..
With home remedies, a 4mm stone can be dissolved. Yet, you can try any method mentioned above in the article. Apart from that, drink plenty of water and include water rich fruits and vegetables in your daily diet. Avoid eating foods that are rich in calcium like soya, dairy products, cabbage, tomato and spinach. With the home remedies mentioned in the above article, up to 4mm stone can be dissolved. But as you have 5mm stone, it is better to go with what doctor has suggestions. Yet, you can try any remedy mentioned above to prevent the further formation of stones. With the help of home remedies, a 4mm stone can be passed freely. It is better to go with what doctor suggests. But to prevent future formation of kidney stones, you can try any remedy mentioned above in the article. Urushiol is generally prescribed for gallstones. As per your comment, we are unsure of which kinds of stones you are exactly asking it for. Drink 3 – 4 liters of water daily. Drink lemon juice daily on an empty stomach. Avoid eating oxalate and calcium rich foods like spinach, tomatoes, cabbage and soya. I had a 1.5 cm calcium oxalate stone. I’ve gone through 3 lithotripsy (1 sound wave and 2 laser) procedures in 4 months to get the most of the stone except a small debris field of what has been referred to as “dust” by the urologist. My nephrologist has recommended drinking a quart of lemon water daily. How do you prevent the acidity of the lemon water from damaging your teeth? Drink the lemon juice using a straw. Swish your mouth with water after drinking the lemon juice. You can use it but freshly extracted lemon juice provides better results. Does lemon juice, the concentrate form, help as well when mixed with water to aid in the passing of kidney stones? It is not possible to shrink 21mm stone with home remedies. We recommend to consult a doctor and go with what he suggests. To prevent further formation of kidney stones, you can follow any process mentioned above. i have two 5mm and one 9 mm stones, which type of home remedy is best for it? and tell me the way to purchase your product from pakistan. Actually, the home remedies can shrink kidney stones up to 4mm. So, we recommend consulting a doctor and go with what he suggests. I have a stone that traveled to my bladder but hasn’t passed yet and is giving me much urinary discomfort. Will the lemon juice/olive oil remedy help the stone pass from the bladder as well? Yes, the lemon juice and olive oil combination helps the stone to pass out from the bladder. Yes, try olive and lemon juice method. This has helped many of our readers to pass the stone successfully. Try lemon and olive oil method as it has shown successful results in many of our readers. In the lemonade recipe you mention “concentrated lemon juice”, do you mean the bottled lemon juice you can purchase at the supermarket like “ReaLemon 100% Lemon Juice, 32 fl oz”? Yes. Make sure the bottle states – concentrated lemon juice on it. Sir I have 8mm stone in my right kidney so plz suggest me what to do for dissolve this. Using home remedies you can treat kidney stone up to 4mm. As yours is of 8mm it is better to go with what doctor suggests. However, you can try lemon and olive oil method to prevent the formation of kidney stones in future. Hello ; i have a 8.8 mm storn in left kidney &8.6mm storn inright kidney and many small storn in left kidney . i also drink leman soda on daily basis is it helpful for my storn…. Suggest me which technic is better for fast result.. Instead of lemon soda, we recommend you to drink freshly prepared lemonade or lemon-olive oil method to flush out the small stones(below 4mm) in the kidney. Lemon juice also helps to prevent the formation of kidney stones. For clearing 8mm stones, we recommend following the doctor’s suggestions. Sir, I have 21 mm kidney stone in my right kidney and a 4 mm one in the left. I’m under ayurvedic treatment for the last 6 months. Due to the medicine I’m taking I have no pain but the USG report found almost no change in the size of the stones. Can I start any of the above treatment options in addition to the medicine I’m taking? Also I expect to continue with the treatment from my ayurvedic doctor for another year perhaps. Can I then do any of these treatments in parallel for another year? Yes, you can try the remedies in parallel with Ayurvedic remedies you are following. However, we recommend to consult your doctor before starting them. Home remedies may not treat the 21mm stone but it can show its effect on 4mm stones. It also helps to avoid further formation of stones. 4 ounces of lemon juice diluted in 2 liters of water is enough for flushing out kidney stones. I m taking daily 5ltrs lemon water as i have 4.6 mm stones on both sides of kidneys .for how many days i have to take it? Repeat for few months to shrink the kidney stones. Once the stones are flushed out, drink 1 glass of lemon water to prevent the further formation of stones. Limon and Olive oil how many spone I take And I have 6 mm stone Left side so plz suggest this medicine before food or After. .? Combine 1/4 cup each of lemon juice (freshly squeezed) and olive oil. Mix well and drink the mixture immediately followed by a plenty of water. Repeat the process 2 – 3 times in a day for at least 3 days to get the relief. Usually, home remedies help to provide relief from kidney stones up to 4mm of size. However, we recommend trying the process if in case it can help your situation. You can drink lemonade daily on an empty stomach to prevent further formation of kidney stones. Try lemon and olive oil remedy mentioned above in the article. Stay away from oxalate and calcium rich foods like spinach, cabbage, tomatoes, dairy products, and soy products. Hello I have a kidney Stone of 5mm it’s almost down near the tube . I am consuming lemon with coconut. Can it help shrink to 4mm and pass through the urine ? Yes, it can. For more effectiveness, add some olive oil into the lemon juice and consume it. I had surgery for kidney stones 2 1/2 years ago. I have been drinking lemon juice with water ever since and it is very helpful. I have only had two kidney stones since and that was after skipping the lemon for 3 or more days. One didn’t hurt at all, it was smooth and tiny. I noticed you suggest drinking it first thing in the morning. I have been drinking it at night right before bed. Would drinking it in the morning be better? Drinking it in the morning on an empty stomach is better than consuming it in night. I am having vibrations in my testicals and frequency to urinate but I hardly pass some drops . I think the stone of 5mm has passed right down . How can I through it out from my urine ? I am 20 years old.I am suffering from kidney stone past 1 and half years.how would I get relief from this?? Try lemon juice and olive oil method as specified in the above article for relief from kidney stones. I have been prescribed with pottasium magnesium citrate to break down stone of 5mm which is already lower down near the tube . Will this help get rid of the stone ? If it is prescribed by doctor then it would help. Apart from that you can use any method mentioned above in the article. Can I use 100% lemon juice from the bottle, or does it have to be fresh lemons? If fresh lemons are not available then you can use bottled 100% lemon juice. I am 40 years old, male, I have multiple stone but Dr can not measure by size, which process can I follow? And how long time need to remove stone? Try lemon juice and olive oil method daily to remove kidney stones. Apart from that drink plenty of water and avoid eating calcium rich foods. Tried lemon juice and olive oil last night. Haven’t had pain, but CT scan showed 3mm stone in ureter. Things got uncomfortable during the night and I read if the stone is uric acid based instead of calcium, it makes it worse? Not sure whether to try again since I do not know what type of stone this is. Your doctor would be helpful in knowing the type of stone. So, it is better to consult him before trying it out. Sir i had 2 stones after my 1st ultrasound report in my left kidney one was in kidney and other was in ureter then i started to take homeopathic medicines and that helped me to relief the pain then after some time i got severe pain again then i had ct scan and report showed there is a 3mm stone in upper pole of left kidney. So please suggest me the best solution for this. 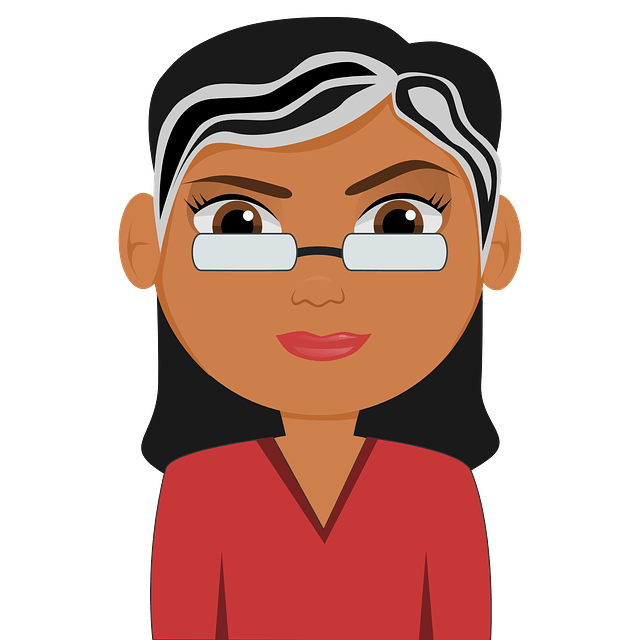 Should i use your methods with my homeopathic medicine? You can drink lemon and olive juice (as mentioned in the article) to flush out the kidney stones. You can take it with the homeopathic medicine. I am 30 years old. I have the problem of bilateral renal calculi(one at right kidney and multiple at left, among them one is measuring 9-10 mm). one stone was passed out of urine, when the stone was analysed, my renal stone is calcium magnesium carbonate(dolomite). Is there such type of renal stone. My uric acid level is normal. What type of stone is it. Will it be good to use lemon juice. I cant find any suggestion regarding such type of stone. Even my the doctor whom I concerned has little knowledge of such type of stone. Pliz help me curing my renal stone problem. You have to take magnesium supplements and try lemon-olive oil method mentioned in the article for removing the kidney stone and preventing further formation of stones. 6mm is actually a little big than what home remedies can handle (4mm). However, you can try lemon and olive oil combination. It may help and prevent new ones from forming. Olive oil doesn’t cause any side effects as it doesn’t contain any harmful fats. I have 3.2 mm kidney stone but When i drink lemon juice. I feel pain after some time! What does that mean? I have a stone in urine bladder I used pain killers for 3 days but still paining. .what can be remedy for it??? I travel so it is difficult for me to bring along fresh lemons. I have found packets of lemon crystals, (about the size of a sugar packet). If I mix these with a bottle of water will it have the same effect? It seems if eating Lemon containing foods, lemon candies, etc., then this should work correct? I have 6 mm of stone in Lower ureter near VUJ(right kidney). Can I remove it by drinking plenty of water? Please suggest me proper way to get out off this problem? you cannot swallow olive oil to “coat” the ureters, you cannot disolve them by magic either or “flush them out”, anything swallowed is digested by stomach acid and enzymes, there is NO route from the mouth to the kidney. Someimes smaller stone will pass in urine. hello..sir my little brother is suffering from kidney stone deaseas …stones in two kidney..4 mm right kidney ..8mm left kidney ..pleas Give me a better Advise ..so that kidney stone removed.. This is a very helpful site. Thanks for this list. I am sure it has helped many people. I had one 7mm and two 5mm stones in right urethra, the dr. placed a stent due to UTI. I passed the 7mm and one 5mm with the stent in place which is uncommon. Along with much healing prayer I drank 4oz of fresh lemon juice and 4oz of olive oil for two days. Once the stent was removed I passed the other 5mm stone. So I highly recommend this combination. Hope this helps some of you as well. This makes no sense. The digestive system is not connected to the kidneys so olive oil cannot ‘lubricate’ the kidney or ureter. Drinking lemon juice when you eat fooed high in oxalates like broccolli or cauliflower will counter act the effect of the oxalates that can build a stone , but once you have a stone that starts to reach the size of 5 mm it will not pass through the ureter. It will get stuck at 3 different places from the kidney to the bladder. I used to do IVP tests on people that had kidney stones 40 years ago. Sometimes the IVP contrast would flush the stone out if it was small enough. I did hundreds of those tests and saw it happen twice. The people experienced immediate relif within 3 minutes of the injection of aprroximately 60ccs of the contrast material because it ws designed to be absorbed by the kidneys to make them visible on X-Ray. However on calcium oxalate stones were visible on a plain X-Ray. A Ct scan however will show all three types of those stones with out contrast. I did hundreds of those scans as well. My mother 47 years old, diabetic Suffering with kidney stones… As one stone of 9mm was stuck and by luck that was fell down.. And due to stones doctor said there was passage of protines through urine. And doctor gave medicines for urine infection and for kidney sickness due to stone movement. And two mnths latr doctor suggested stop those tablets for urine and kidney sickness. As albumin passage was not found in urine test. Now there ias mild swelling of two kidneys. N doctor suggested to take plenty water for reducing swelling.. This dis ok. R any betr solution. And the crietinine level were normal. And having hb levels at 8.5 now.. Cloud u plz suggest fr increase in blood levels..
my 9.5 mm passed from ureter and reached bladder… now can I psss 9..5 mm stone from bladder to urethra…. Sir I have 3.6mm renal calculus in my left kidney so what is the best way to get rid of it. Sir I have 3.6mm renal calculus on my left kidney.Which is the best way to get rid of it. I have gone through the blog and thank you very much for the useful information. I have a query though : Can the size of the kidney stone ( 15mm ) be further reduced (May be to 14 or 13mm) by taking lime juice regularly.